I love listening to songs with female vocals and just an acoustic guitar accompanying the sweet feminine voice. And when I say that description, M.Y.M.P. comes to mind. Here's a treat to all the fans, M.Y.M.P. (acronym for Make Your Momma Proud is once again on stage and mic to prove that they have more than what they had been offering for the previous years. Bring your mom this Sunday at the Atrium, Robinsons Place, Ermita (5:00 PM) to celebrate Mom's Day with M.Y.M.P. as they launch their album - M.Y.M.P. The Unreleased Acoustic Collection. 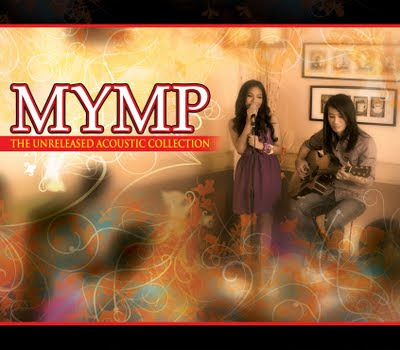 ‎MYMP The Unreleased Acoustic Collection is now available in all Odyssey Music and Video stores nationwide, released by PolyEast Records for only P299.00. I'll bring my mom (and brother too!). See you!